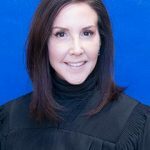 TALLAHASSEE- The Florida Supreme Court is considering whether to remove Palm Beach County Judge Dana Santino, as recommended by the Hearing Panel of the Judicial Qualifications Commission (JQC). Judge Santino was charged with committing several serious violations of the Code of Judicial Conduct during her 2016 judicial campaign. At the time of the election she denied that her actions were improper, however, she later admitted that her conduct violated the judicial canons. There is no set timeframe for a final decision by the Court. The documents related to this case can be found here. Photo credit: 15th Judicial Circuit. AN INDEPENDENT STATE AGENCY CHARGED WITH INVESTIGATING ALLEGATIONS OF JUDICIAL MISCONDUCT AND DISABILITY AGAINST FLORIDA STATE JUDGES. *Because of confidentiality restrictions, the Commission and its staff are not permitted to discuss pending inquiries. Letters will be sent by US Mail to the complainant at the time the complaint is received, and again when a disposition is reached. © 2018 - FLORIDA JUDICIAL QUALIFICATIONS COMMISSION - All rights reserved.